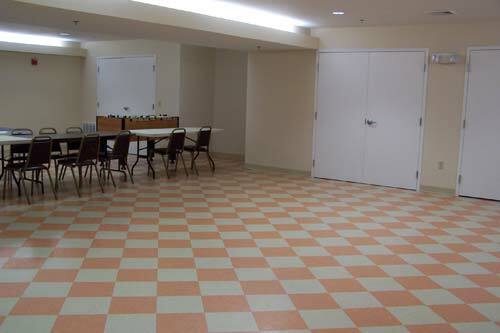 The recreation room is located downstairs off the main hallway. This spacious area includes air hockey, ping pong, and foosball. Additionally, there is a television and DVD player available for parties. The recreation room is available for party rentals. To learn more about hosting your child's party at Wightman, including the room rental policy and guest fees, email ﻿wightmantennis@gmail.com﻿ or call (781) 237-3324.